The Science Center of Iowa (SCI) in Des Moines is known to emphasize less what to learn and more how to learn. In this spirit, the Iowa Department of Transportation (Iowa DOT) and Iowa State University’s (ISU) Institute for Transportation (InTrans) worked directly with competition host, the SCI, to create the Ready. Set. Build! Bridge-Building Challenge. The goal? 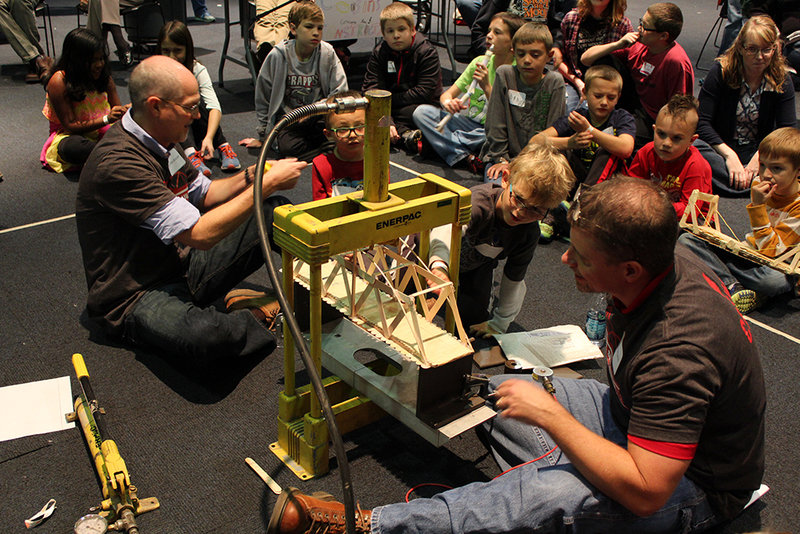 Inspire future engineers to “build” their dreams. competition consisted of 24 teams that included 75 participants. 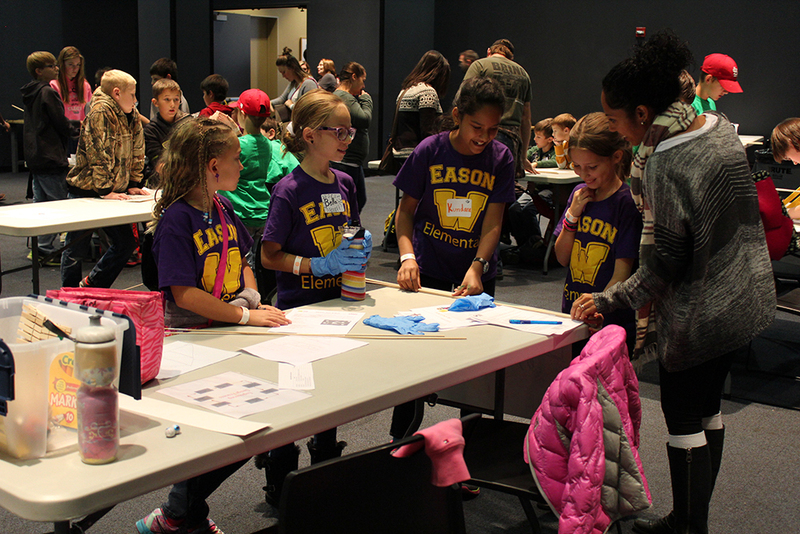 Groups, ranging from two to four participants, even families, had three hours to design and build their own bridge using balsa wood, wooden clothespins, popsicle sticks, hot glue, and string. “We learned so much! Like that a triangle is the strongest shape,” said Bumble Squirt’s Bella Ford. Bumble Squirts’ hard work paid off, because they took home the award for Highest Structural Efficiency, with their bridge holding 73 lbs. 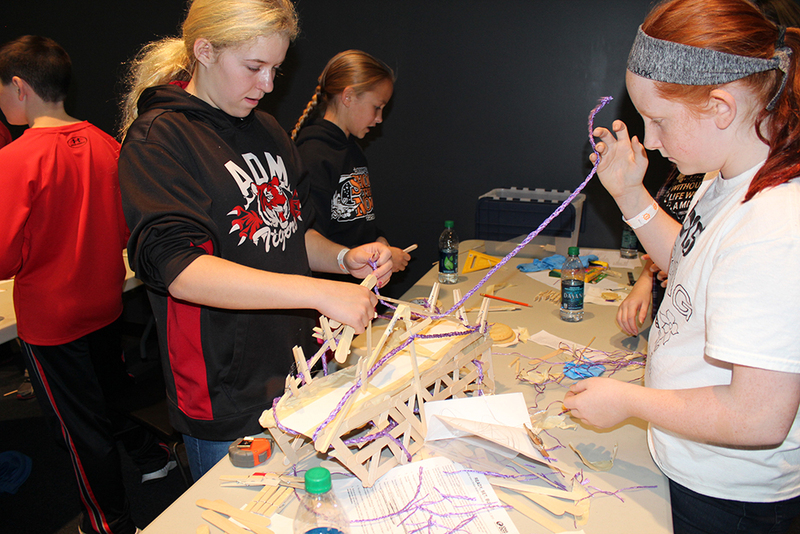 School in Adel, Iowa, were one of the only teams to utilize string in attempt to make suspensions for their bridge. They took home the award for Truss Teamwork. “Teamwork is essential in any bridge project,” said Brent Phares, a judge and the director of the Bridge Engineering Center at InTrans. According to the slew of judges, the Pink Fluffy Unicorns impressed them with their communication and listening skills while everyone simultaneously contributed to the project at hand. Taking home awards for Truss Teamwork, Most Innovative, and Highest Structural Efficiency was Levy Hitz, Dominik Shoemaker, and Sarah King from 4H ExSPANsion. 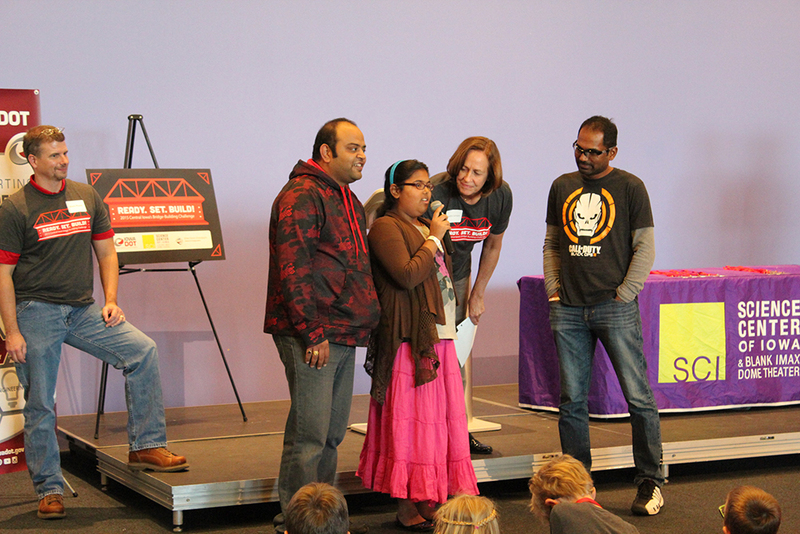 Their bridge stood up to the weight of 63 lbs. However, the overall winner for Highest Structural Efficiency was Jahanvi Chawla, Sumit Chawla, and Santha Perian, a family known as Paris Truss. Their bridge, which withstood a record-breaking 160 lbs, was inspired by the historic Rainbow Bridge, an arch bridge that crosses the Niagara River gorge.